The third chapter of this Netflix documentary series follows Kennedy’s 1968 campaign and assassination. Photo courtesy of Images Cinema. Indeed, Kennedy’s dissatisfaction mirrored that of much of the nation at the time, with Eugene McCarthy entering the democratic primary and opposing Lyndon B. Johnson’s leadership in Vietnam. On the Republican side, Richard Nixon campaigned for his party’s nomination. The historical context of events that led up to Kennedy’s campaign for his party’s nomination are masterfully displayed in Bobby Kennedy for President, with the breadth of footage reinforcing the testimonies of both advisors and colleagues of the senator. The documentary follows a linear series of events, jumping from Kennedy’s interaction with Cesar Chavez during his hunger strike, to the announcement of his candidacy, the primary contests and eventually ending with his assassination. The information on display in the documentary is both thorough and clearly presented. The film makes clear narrative lines and, through interviews with aides who were close to the senator, paints a picture of the circumstances that built Kennedy himself and shaped the campaign. In some ways, the documentary’s approach to its subject is less personal than the title would infer. The aides, journalists and associates of Kennedy illustrate the ideas of his persona more than they do the man behind it. Throughout the film, the viewer feels that it is more of a profile of the moment that surrounded Kennedy, leaving much about the man shrouded in a level of mystery. The documentary style feels much like a straight history, as opposed to a deep and personal look at the famed politician. The pool of interviewees is small, and with the exception of Congressman John Lewis, filled with people who talk about their relationships with Kennedy in much of a professional context. The documentary lacks a personal angle and, outside of two specific instances in the documentary (the assassination of Martin Luther King Jr. and a segment surrounding Kennedy’s dog), it lacks much insight into what made Kennedy tick. While his public actions may be fully indicative of his private life, there is no room in the third chapter of the documentary for an examination of his inner self. Perhaps the documentary should be viewed not as a profile of Kennedy, but rather as a closer look at the movement that shaped him just as much as he shaped it. While the documentary lacks a particular personal angle with regards to its titular subject, it amply establishes the conditions that surrounded the 1968 primaries and Kennedy’s ascent. 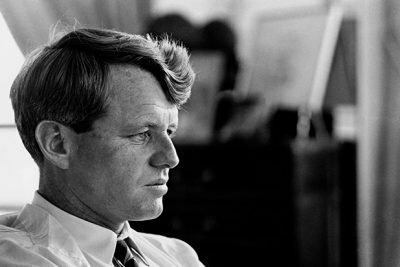 The interactions Kennedy had with his coalition – particularly with the black community, the American working class and Latinx Americans – display his unique ability to channel the energy behind said communities, as well as be a vehicle for the grievances within them. This chapter of the documentary spends relatively large portions of its brief runtime on the subject of Kennedy’s interactions with the communities that made him; the film is at its most effective when highlighting the interpersonal. The third chapter of Bobby Kennedy for President, contrary to what its name would suggest, is more about the circumstances of Kennedy’s presidential campaign than the man himself. With a focus on the connections between Senator Kennedy and the communities that made up his coalition, the documentary succeeds in painting a picture of the circumstances that made him an icon and the movement that may well have died with him. Horror films weren’t the only option for experiencing vicarious terror on the big screen this Halloween. 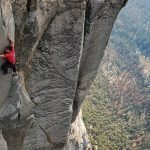 The opening shot of Free Solo, the National Geographic-produced documentary about superstar rock climber Alex Honnold, is as gut-wrenchingly vertigo-inducing as it is stunningly beautiful.